Read all our latest practice news. 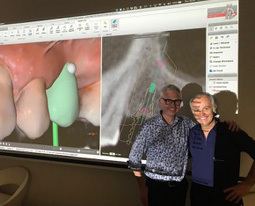 As one of the key opinion leaders in computer guided implant surgery, Robin was invited to attend Professor Alessandro Pozzi’s 3 day course in Rome. This course focused on virtual guided surgery which is being developed by Nobel Biocare and is the future of dental implant placement. Following a flood in Nick’s surgery, we decided to completely refurbish it. 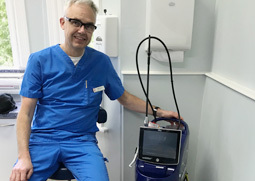 We are delighted with the results and Nick even has a bespoke space to park his brand new Waterlase laser! 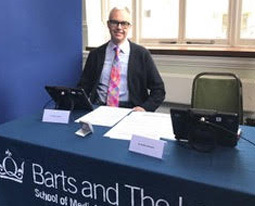 Robin went back to his university to interview potential dental students. Robin loves going back and meeting the young people who will be the future of dentistry. With all the new technologies, it’s an exciting time to join the profession. 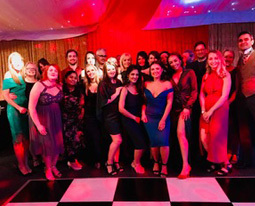 A great time was had by all at our Christmas party at Luton Hoo Walled Garden! 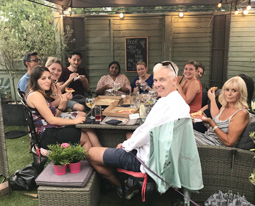 A great time was had by all at Graham’s leaving drinks at The Oddfellows Arms. He will be missed!. We are delighted to welcome dentist Nick Powrie to Wayside who took over from Graham on 10th August. The whole team had their annual medical emergencies training today. 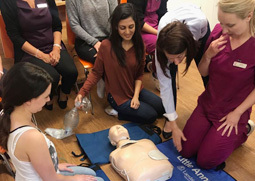 Esther from Heartbeat Resuscitation came to the practice and showed us that there’s always more to learn! 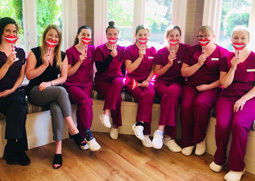 We are supporting National Smile Month, the UK’s largest and longest running campaign to promote good oral health. 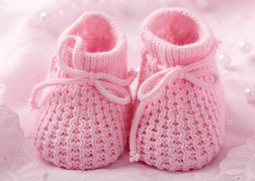 We are delighted to announce that Louise, our head nurse, had her daughter today. Congratulations Louise and Rodrigo! We have invested in another Waterlase Laser so all of our dentists will be able to offer Waterlase Dentistry. Waterlase Dentistry is exceptionally gentle and can be used for treatments ranging from fillings to implant surgery-see our website for more information. 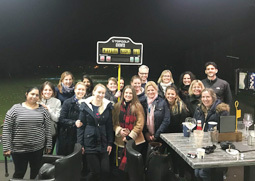 We had our team building evening at Top Golf in Watford and great fun was had by all. Some of us were more accurate than others with Graham being the overall winner! 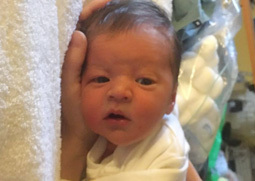 Our Practice Manager, Christina, had her baby today- a baby boy called Charlie. We look forward to welcoming him to Wayside! We have installed a dental microscope in Amit’s surgery. Amit is currently undertaking an MSc. 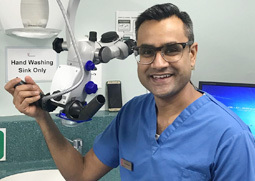 in Endodontics (Root Fillings), and this microscope equips him to carry out complex root canal treatments.